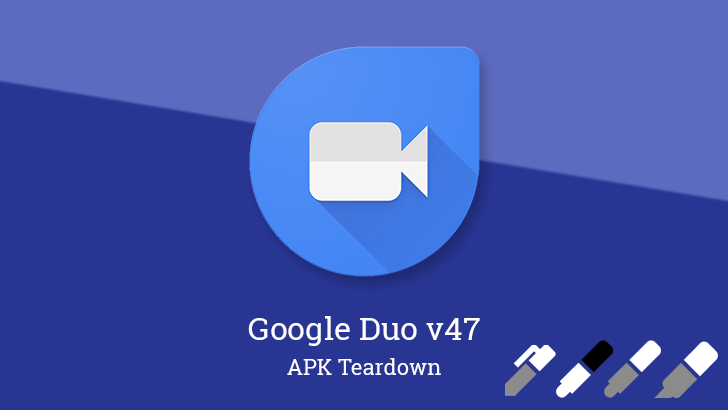 Google's video chat app Duo has always been a pretty lightweight app, seemingly focused primarily on keeping the interface simple and prioritizing video and audio quality over flooding it with features. We've seen a few features slowly emerge over the last couple of years, and just about as many have been implemented and subsequently removed before launching. While we wait to see the eventual launch of a favorites list for contacts, there's another new feature in development that may liven up your video chats: Drawing mode. There's also another reminder that group calling is on the way. Communication comes in many forms, and there's usually one or two ways that are best for any particular type of thing you're trying to communicate. Video messaging is fantastic for sharing images of yourself and your surroundings, not to mention speaking directly to a person, but sometimes you might also want to add even more to the screen, whether it's to be informative or just to have some fun. It looks like this is something you'll be able to do in Duo. Judging by the current text, this is limited to video messages, but I don't really see a reason this couldn't find its way into regular video chat. The latest additions include tool icons for drawing and typing text on the screen, plus several icons dedicated to the different drawing tools including a pen, marker, and highlighter. Within the new text, there are currently names for 28 different colors that can be used to create your masterpiece. You'll also be able to adjust the size of the text or drawing tools on a scale of 8 different options ranging from tiny to enormous. The features are largely in line with what you would see for drawing tools in Google Keep Notes. The only remaining notable points to call out are that the only font currently listed is a generic "sans serif black" and that text can be moved, rotated, or resized with pinch gestures. While not exactly related to the drawing tool, there was one more icon that will likely find a place in close proximity to the drawing and text tools, and that's a special effects icon. This will obviously lead to things like the recently spotted Valentine's Day effect.